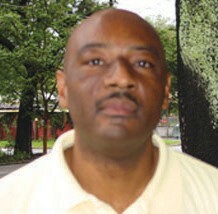 Savannah State University has removed the interim tag and has hired Shawn Quinn as the Tigers new head football coach. In making the formal announcement on March 7, SSU athletics director Opio Mashariki said that Quinn was the best fit for the job at the current time. Other finalists include Edward Waters head football coach Greg Ruffin and Southern University assistant head coach, offensive coordinator/offensive line coach Chennis Berry who is also a former SSU all conference offensive lineman who graduated in 1995. Quinn, who has been serving as the SSU interim head football coach since December 2018, replaces Erick Raeburn and will be taking over a program that will be making the transition from FCS to Division II in the fall. Quinn is the third Caucasian to lead the SSU football program of the Historically Black Institution. Since the time he has taken over the program, Quinn has made it a priority to change the culture of the team within itself, the campus, the city and the state. The teams has brought into his philosophy and he hopes the local community does as well. 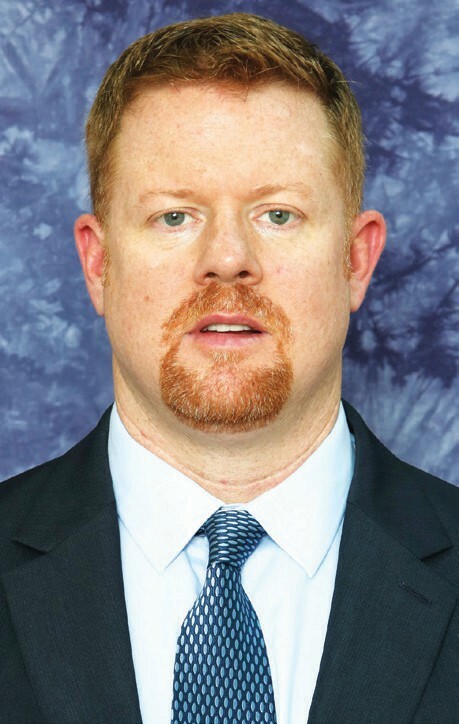 Hired in February 2018 as the Tigers defensive coordinator and linebacker coach, Quinn led a defense that finished the 2018 season ranked first in the Mid-Eastern Athletic Conference in pass defense (138.5 yards per game), second in total defense (316.2 yards per game) and fifth in run defense (177.7 yards per game). SSU finished third in the FCS in pass defense and 19th in total defense. Quinn came to Savannah State from The Citadel where he served as a defensive analyst for the 2017 season. Before that, he was the assistant head coach/ defensive coordinator/linebackers coach at Tennessee Tech University (2016-17). A native of Chicago, Quinn has also coached at Western Carolina University (2013-16), Charleston Southern University (2012), Georgia Southern University (2010-11), Northwestern State University (2009), Louisiana State University (2008), University of Louisiana Lafayette (2002-07) and University of Tennessee (1999-2002). Quinn began his coaching career at the high school level, coaching outside linebackers and tight ends for a year (1995) at Armuchee (GA) High before spending five years (1996- 99) coaching at Maryville (Tenn.) High where he helped lead the team to the 1998 Tennessee Class 4-A state championship. A four-year starter along the defensive line at Carson-Newman College, Quinn was an All-South Atlantic Conference (SAC) selection, helping the Eagles claim four conference championships. He graduated with a degree in history and political science in 1995 before earning a master’s degree from Lincoln Memorial University. Dr. Carl Walton, SSU’s vice president of student affairs, headed a ten-person search committee that poured through approximately 125 applications. Others on the search committee include Alfred Jackson (SSU National Alumni Association Representative), Barbara McGee (SSU Athletic Booster Club Representative), Bobby Lockett (SSU Foundation Representative), Mickey Stephens (SSU Alumnus), Carlton Hardy (SSU Head Baseball Coach), Phil Cole (SSU Staff Representative), Shalonda Mullgrav (SSU Faculty Athletics Representative), Daijah Freeman (SSU Athletics Senior Women’s Administrator), Malik Bradley (SSU Student Government Association President) and Travon Rumph (SSU Student-Athlete). During Shawn Quinn’s press conference, SSU athletic director Opio Mashariki stated that the Tigers 2019 football schedule is not complete but did say that Savannah State will play Albany State for Homecoming on October 26. It will be the first meeting between SSU and the Rams since 2011 when the teams met in Macon for the Music City Classic. ASU won that contest 37-34. The year before that Savannah State played Albany State in Waycross where the Rams won 28-14 in the Rumble in the Swamp Classic. The last time Albany State made a visit to TA Wright Stadium was in 1997 where the Rams handed the Tigers a 41-3 setback. Albany State, who leads the overall series 43- 16-2, has beaten SSU the past 15 meetings. The last time the Tigers defeated ASU was in 1991, a 51-16 victory. The series with Albany State dates back to 1932. Although the SSU schedule is incomplete, other schools have released their schedules and the Tigers are listed to be hosting Florida Tech (September 7) and Fort Valley State (November 2) and have roads trips to Charleston Southern (October 5) and Clark Atlanta (Oct. 19). The Sol C. Johnson girls basketball team defeated Hart County 54-50 to win their second straight state basketball title in Class AAA. The victory took place on March 7 in the Macon Centreplex. In a game that had five ties and four lead changes, SCJ freshman K’Lya Hankerson hit a 3-pointer and then added a pair of free throws down the stretch to help the AtomSmashers earn the win. Johnson led 13-7 after one quarter of play and increased their advantage to 12 in the second quarter before the Bulldogs rallied to trim their halftime deficit to 29-25. Hart County, which out-rebounded SCJ 38 to 29, shot 50 percent from the floor in the third quarter and went into the final frame up 37-36. Johnson’s Jasmine Thompson had 20 points and eight rebounds while J’Mya Cutter added 13 points and five steals. SCJ finishes the season with a 22-8 record.